making for a belated holiday or a New Year's gift. Who doesn't enjoy peeking into another artist's creative space, to see where and how they paint? For many it is a very personal space. Having worked with so many artists in undertaking the 100 New England, Mid-Atlantic, Midwest, Southern, Northwestern, Southwest, and Green Art books, Rooney toured the homes and studios of 86 international artists. Some studios are large, with lovely high ceilings and oversized skylights. Some are modest - even cramped. Some are amazingly pristine and carefully ordered with drawing, painting gallery and meditation zones. Some are a study of chaos, but in all of them the artists appear to create. She found that today's studios range from chicken coops to entire islands, to extra bedrooms to horse barns. Artists feel strongly about how they organize their studios, where they store their canvases and other works of art, how they keep their brushes and tools, and hang their art. One of the primary differences seems to be whether the artist likes the hubbub of other people and artists about. Some talk about the need for others, while others enjoy the freedom of padding down the hall in their slippers late at night to work on a piece. They want the peace and quiet and the quiet retreat. Others like to be part of a community. Many talk about their music systems and gardens. Dogs appear to be faithful companions. Many collect natural objects to inspire them. Big or small, tidy or messy, the artist studio is obviously a sanctuary – a place for creative incubation, as Joseph Campbell would say. 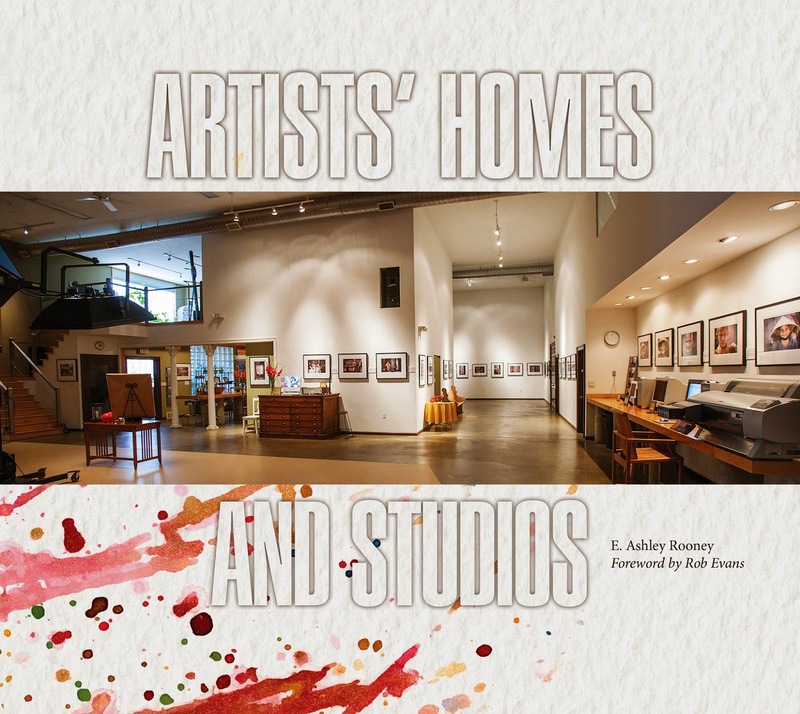 DMV artists featured in the book include Alan Binstock, Tom Block, Joan Danziger and Anne Marchand. Order it through Amazon or Barnes & Noble.